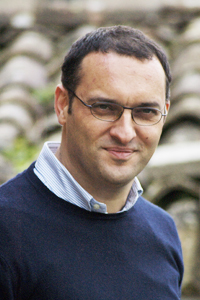 Noè Marco Sacchetti established his office in 2001 in Lambrugo (Co), after carrying out a collaboration with Seste Associated Office in 1999. He was a professor at the faculty “Ludovico Quaroni” of the University of Rome “La Sapienza”, where he graduated with Livia Toccafondi and Flavio Trinca. He took part in numerous competitions and in 2004 he partecipated in the national Competition of ideas for the recovery and the reconnection of a system of squares in the Town of Cassino (Fr) and won the Dedalo project. In 2004 he won again the Dedalo project with the National Competition of ideas for the redevelopment of the open square in front of the Provincial Administration Building of Frosinone. He received awards for “Suio: Porta del medio Garigliano” Competition in 2008, for the International Design Competition Living in Milan/2: New urban settlements for social housing in 2005, for the design of five squares in Lecco in 2004 and for the regeneration of the district of San Lorenzo in Rome in 2000. He also won the Tercas prize in his XVI edition in 2003. In his work he designs and builds and manages the jobs of a residential complex with shops and a square in the front in Lambrugo (Co). During the years 2001-2007, under a development plan drawn up by himself, he planned the recovery of three buildings totaling 48 apartments in the Town of Cassino for the ATER of the province of Frosinone in 2009. He made numerous works in residential and commercial buildings such as Via Verdi 21 wine bar in Isola Liri (Fr), the cafè in Fulham Road in London, the AQUALIRI - the recovery of a previous slaughterhouse in Isola Liri and the literary bookshop cafè Bibliotè in Sora. Today he is committed in the building of a nursery in the town of Broccostella (Fr) and he is involved in other projects.